A group of Utroms are attacked by a band of mutated Deinonychus in the jungles of Venezuela. Donatello pays a final visit to what remains of Baxter Stockman, seeking information about how to help April. 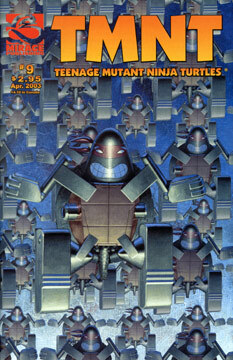 The Utroms at the New York base explain to the Turtles about Baxter’s nanobots, and introduce their own version of the tiny machines.